For fiscal year 2012, Nerium’s first full year of operation, Nerium International was the youngest company to be included on the Direct Sales News Global 100 list … landing at #86 with $100M in revenue. The average company in the Global 100 is 15 to 18 years old and does business in 10 to 15 countries. Nerium ranked on the list the first full year of business, with one product, and one country (U.S.). This kind of exponential growth is unprecedented in the relationship marketing industry. 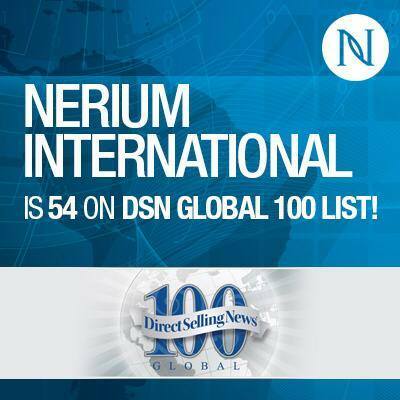 In fiscal year 2013 Nerium continued its stellar growth, this time moving up the Global 100 list to #54 ! Again, with operations only in the U.S. And by more than doubling revenue from $100M to $219M from 2012 to 2013, was included in the elite $100Million Growth Club. And now with Nerium beginning international expansion this year, one can only guess how much higher on the Global 100 list Nerium will rank this year ! And this is a company that only started business 3 years ago ! Nerium’s popularity was reported on CBS News Los Angeles. This third-party review feature, titled the “Miracle Face Cream,” acknowledged the growing craze in the U.S. of Nerium. Click HERE for read more and see the CBS news video. Nerium International’s Brand Partners have a powerful opportunity of owning their own business. Only 3 years old; fastest growing in our industry; join the ride ! Nerium’s skincare products are rooted in nature, science, and high-impact ingredients. Our flagship product, NeriumAD Age-Defying Treatment, contains the most effective ingredients available, including our exclusive, patented NAE-8 extract, which has powerful antioxidant properties that help reduce the appearance of many signs of aging. Over one million people have enjoyed the benefits of NeriumAD. 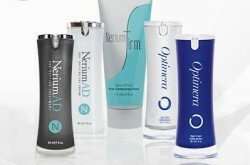 We have created the ultimate night and day Nerium experience with the addition of NeriumAD Age-Defying Day Cream. The NeriumAD day cream includes our exclusive NAE-8 extract, as well as a tripeptide blend, vitamin C complex, and green tea extract, which addresses your signs of aging during the day. It also includes a blend of four highly functioning moisturizers, including hyaluronic acid, to keep skin moisturized and radiant. Here is a full list of NeriumAD night and day cream ingredients. 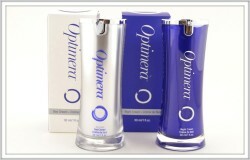 For our international markets of Canada and Mexico, Nerium offers our Optimera product line. Find out more about these great products HERE. Why join us … the Nerium experience.